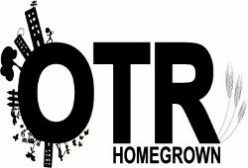 OTR Homegrown Hosts Block Party! OTR Homegrown, an urban farm in Cincinnati’s Over-the-Rhine neighborhood, is hosting a block party to celebrate local food, urban farming, and the official launch of our mural completed this summer by local artist John Ford. In response to the recent violence in the neighborhood, the goal of the block party is to work to build community cohesiveness for everyone that lives in the area. OTR Homegrown is an organic urban farm, which cultivates ecological stewardship through sustainable practice. OTR Homegrown works to provide local access to healthy, local foods for the Greater Cincinnati area. It is our mission to provide education on healthy, sustainable living through community involvement and investment, strengthen the community through partnership, and foster good citizenship and inter-group tolerance. Our members are: Sheila North, Michelle Dillingham, Michael Tucker, Sarah Saheb, Kelly Gillen, Chelsea Powell, Quentin Koopman, Mark Stegman, and Tevis Foreman. OTR Homegrown originated in 2009 through a collaborative partnership with individuals from Mayor Mallory’s YPKC, the Service Employees International Union Local 1 (SEIU), and the University of Cincinnati’s DAAP Architecture Co-op Program. As part of the City of Cincinnati’s 2009 Urban Gardening Pilot Program, OTR Homegrown transitioned a blighted, vacant parcel of land on Walnut St. into a sustainable urban farm for the residents of Walnut St. and the community of Over-the-Rhine. In 2010 OTR Homegrown partnered with the Findlay Market: C.H.E.F. 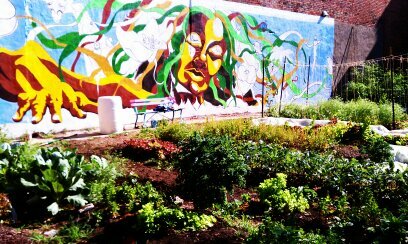 Program and established 2 high-producing, for-profit urban farms on Pleasant St where we currently are located. Please come out and join the celebration!